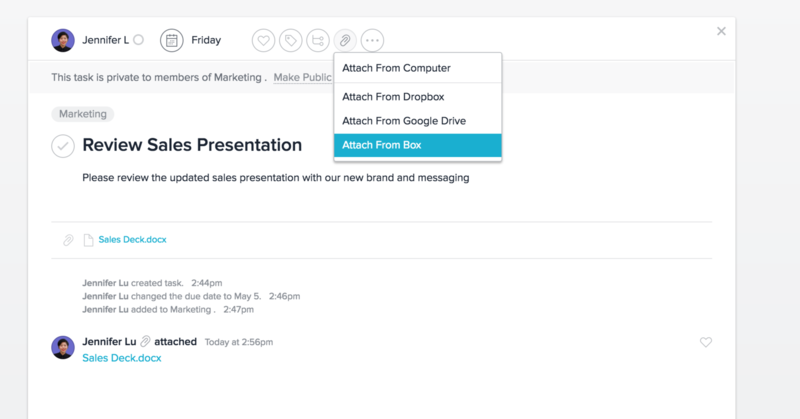 Box offers secure, scalable content-sharing for your team. Once you attach a file, you will see a link and a preview thumbnail above the comments section in the task pane. Clicking the thumbnail or link will open the file.